Asteria is an eight month BOM. 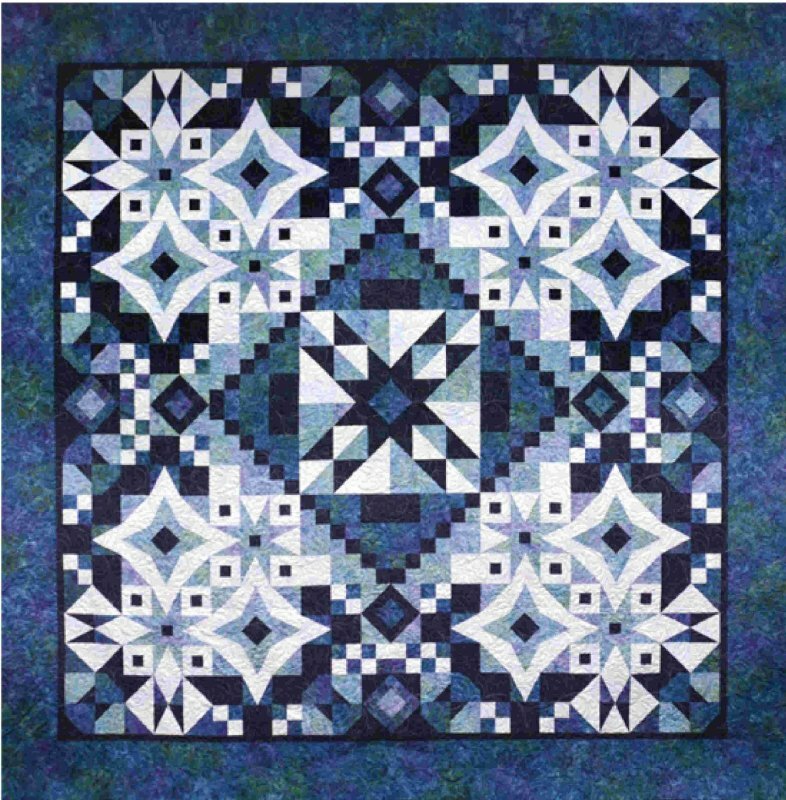 Each month there is a new block that you will use several times to create this stunning quilt. You'll also receive a bonus quilt pattern each month that features the current block in a whole new setting with several layout options. This BOM will be done in a class format so you can get Carolyn's short cuts and monthly tips. The beginning of class time will be instructions on how to complete that months block. You then have the choice of staying and working on your block or taking it home and working on your own time. Blocks will be available for pick up after the third Tuesday of each month. We will not be making kits so you are going to want to come in and pick out your fabrics. You will need to get all of your fabrics before you begin to insure that you have enough of each to complete the quilt. This quilt uses only 4 fabrics and we are offering 20% off the fabric you choose for your quilt. Carolyn will have times for you to come in if you need help picking fabric.